This is just a glimpse! You won't believe the prices and beauty! 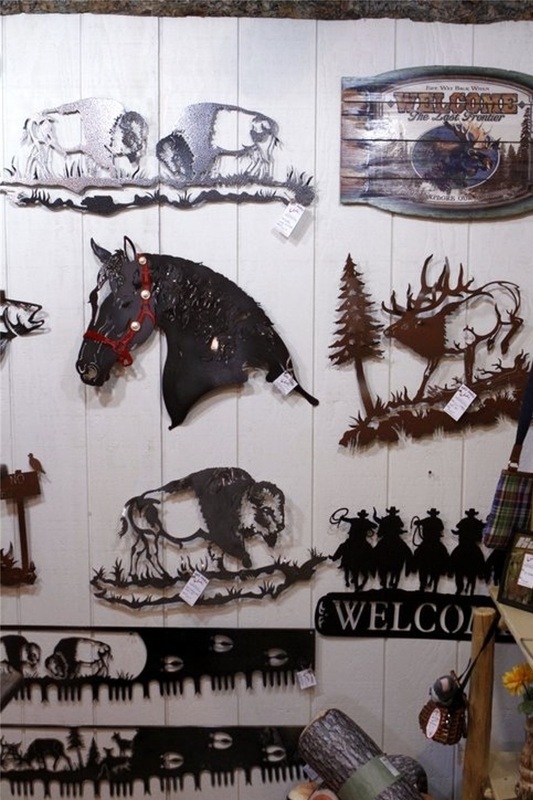 Notice that the Elk has both side of his rack! Yes, it's that cool! 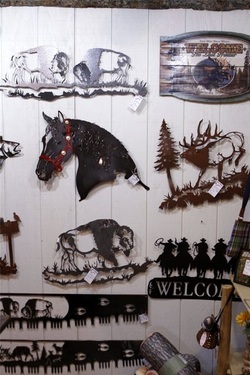 This metal art is not a template, it is original designs drawn by a wonderful local artist! He bends it to give it a 3-D effect as well as having it powder coated or left "raw" to rust and achieve the effect you are looking for. These are indoor or outdoor pieces. Must see in person!